According to a release from the Government Information Service (GIS), Head of the Disabilities Division, Ms Lorna Dawson said that while the centre continues to rebuild, it continues to provide service to its clients on a one-on-one basis as opposed to the usual camps. “They come and they look out the window and ask when will they get back their playground and they have been seeing the work that has been going on. There is still a lot of work to do and a lot of finishing touches but it is here,” Ms Dawson said. 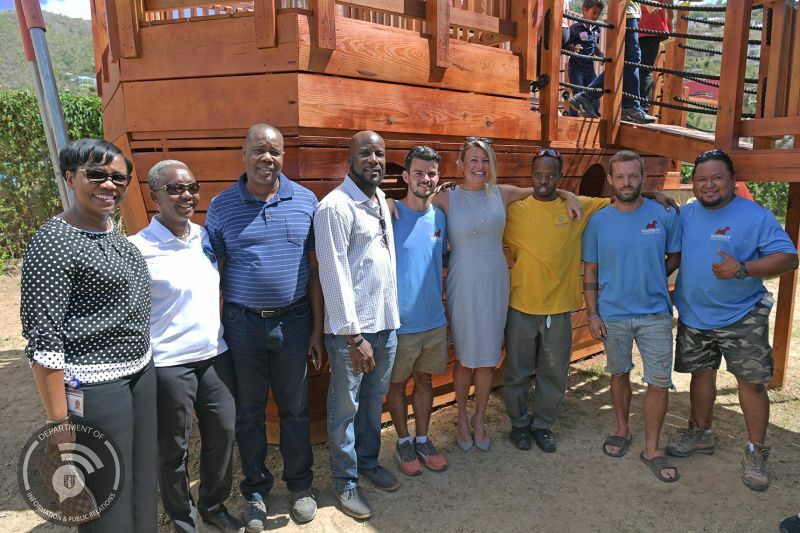 The playground was designed and built by Mitch Lederman of Ramsay Construction and was dedicated by Pastor Winston Salmon today, Friday, April 5. Persons who are interested in donating towards the rebuilding efforts of the Autism Centre and Rainbow Children Home are asked to telephone 468-3672.